Make no mistake; I am completely, even passionately, Catholic. I know that the Catholic Church is the only Christian Church that has a legitimate historical claim to having been founded by Christ, Himself. I believe that the fullness of truth is held in trust in the deposit of faith of the Catholic Church. It is a magnificent home we Catholics have been given. The holiness of the residents, though, while influenced by the splendor of the home, is not determined by it. Every one of us falls short of the splendor of God. Far short. Every one of us is going to find that, like children, we badly misunderstood and misinterpreted some things when we stand before God, Himself. However great the treasures entrusted to us, it is altogether true that we hold these treasures in earthen vessels (see 2 Corinthians 4:2). When I was a Protestant, I knew a lot of preachers who were constantly hustling, on the make for how they could enhance their wealth, influence, and power over others. As a Catholic, I have encountered a dreary run of clerics who engage in petty political gamesmanship to advance their standing in the largest bureaucratic religious institution in the world. These people use the things dedicated to God in an effort to advance their own mere temporal ambitions. It is a sacrilege of sorts. My fellowship with these can only be marginal. Yet I also know men and women of many faiths whose love of God burns so brightly that it inspires fresh hope, fresh resolve. They are always zealously eager to share what they have found in order that those around them might share in their joy. The Magnificat expresses the heart of true sanctity: “My soul magnifies the Lord.” (Luke 1:46). The true believer is not the one who tries to impose his will on others, who is eager to show he knows or has more than his fellows; but the one who, having found the fount of living water eagerly tries to share it with others that all may live. As is true of all things inspired by God, there is a great variety of temperaments and priorities in true believers. They have one thing in common, though: their souls magnify the Lord. The late Rev. Billy Graham. What a preacher! The man thrummed with the love of Christ. He did more over the last century to break down the walls between Christians, ending the competing sterile, triumphal claims among denominations than anyone else. He refocused millions to the reality that it is fellowship with Christ, expressed through building each other up that is the heart of Christianity. When he and the late Pope St. John Paul met, it was the beginning of a deep friendship, for they each recognized the true believer in the other. Their souls magnified the Lord. The late, great Anglican, C.S. Lewis was one of the greatest Christian apologists of the last century. When someone expresses an interest in knowing what is the basic point of the Christian faith, what it is authentically in layman’s terms, I always recommend Lewis’ marvelous little book, “Mere Christianity.” His series of books on Christian apologetics (though not labeled as such) is indispensable for those seeking to spread the good news to a population that is jaded and has become more filled with misinformation about the faith than information. That great Baptist Minister, the Rev. Martin Luther King, Jr., spared this nation a terrible ordeal. One hundred years after the end of the Civil War, the frustrations inherent in a century of justice denied could have led this country to the widespread bloodshed of a new civil war, but the force of King’s personality and his orthodox Christianity spared us the worst of that. His successors have lacked his grace and largeness of spirit (to be kind to the toxic race hustlers that have risen in his aftermath). Yet I still cannot read his “Letter From the Birmingham Jail” without tearing up. Who can fail to be inspired by the heroic witness of the German Pastor, Dietrich Bonhoeffer, whose anti-Nazi efforts in the heart of the darkness led to his arrest – and then execution by the Nazis just two weeks shy of U.S. liberation of the concentration camp where he was held? He was imprisoned in a concentration camp for over two years before his execution. 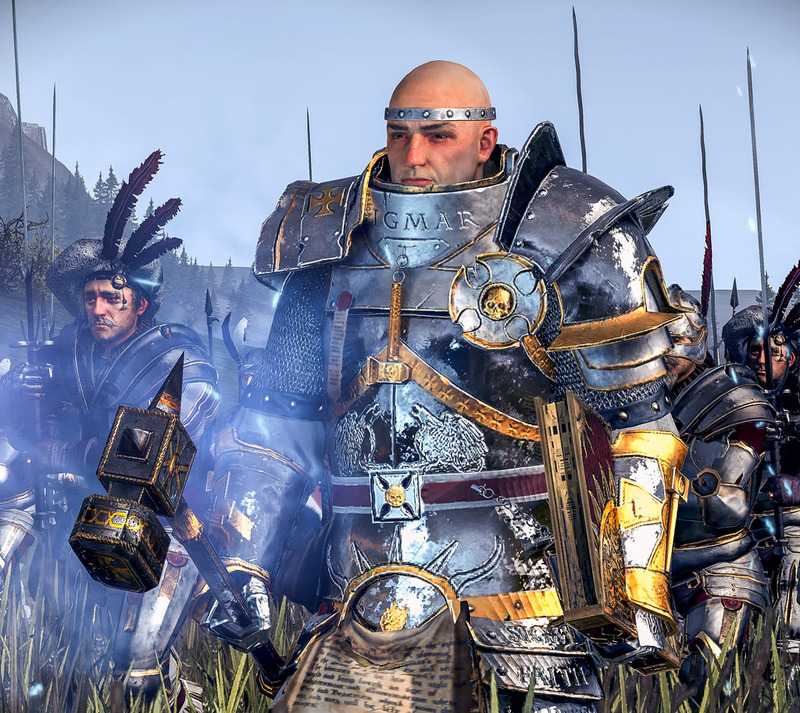 Throughout that time, he managed to smuggle hopeful, inspiring pastoral letters out – even helped by some of his guards. Here was a man who was faithful unto death. Among the Catholic luminaries who have inspired me are St. John Paul the Great, Pope Leo XIII, St. Joan of Arc, St. Teresa of Avila, and St. Therese of Lisieux. All of these characters display a fully-developed personality that is wholly devoted to bringing people to Christ and building them up. St. Thomas Aquinas, the Angelic Doctor, was one of the most brilliant, detailed and precise theologians and philosophers in all history. Yet his work shows no signs of a craven effort to show how smart he was. He knew the gifts God had given him – and chose to devote himself to using those gifts to illuminate the truth of Christ. When you read him, despite the difficulty of his dense and complex work, you can feel the joy of discovery thrumming through the page. When dealing with heretics, he never hoisted straw men to knock over, but dealt with their very best arguments – and revealed the truth of the matter on their own terms and in their own language. While tackling his Summa Theologica is an ambitious project, you can get a very accessible portal into his mastery by reading Peter Kreeft’s marvelous Summa of the Summa, which uses a condensed group of St. Thomas own texts along with explanatory and insightful commentary. I read it every few years – and do only 10 pages a day so as to absorb it well. For another introduction, get books of some of his homilies. While the structure of St. Thomas’ homilies is very formulaic, the content is startling and fresh, even provocative. I actually embedded some insights from his homilies into my sites without identifying them as such. The reason is that I wanted a reliable means of differentiating between critics who were just doing ‘gotchas’ on me and honest people who were disagreeing from the heart in, perhaps, a provocative manner. I hate to dismiss an honest disagreement just because of tone, but do not want to waste time with the bumptious ‘gotcha’ crowd. I never used it to attack the bumptious, but solely as a means of discernment – though I will confess that it often amused me when some supposed expert attacked my “obvious errors” not knowing that he was actually attacking St. Thomas Aquinas. When he was young – and even when he was middle-aged – St. Augustine had a marked passion for both the ladies and for revelry and finery, even well after his passion grew to include the faith. He never used the faith to excuse his disordered passions, but neither did he allow shame over those disordered passions to prevent him from proclaiming the faith with profound love and insight. His writings on the Eucharist, in particular, often take my breath away. Two which have always stuck with me are (I am doing these from memory): “Some think God made the Eucharist to resemble bread. Rather, at the beginning God made bread to resemble the Eucharist so it would already be familiar to us when it was established.” The other is, “When we eat ordinary food, it is absorbed into our bodies; when we consume the Eucharist, it absorbs us into the One Body of Christ.” Once again, his writing thrums with the joy of discovery. True believers encompass almost the whole variety of humanity – warriors, kings, paupers, virgins, mystics, laity, consecrated, clergy, mothers, fathers, husbands and wives. True believers are neither proud of nor contemptuous of the gifts God endowed them with – but use those gifts to form their authentic, distinct personalities and then direct them to building each other up into joyful fellowship with God. How pathetic and paltry – and palpably brazen – are the efforts of those who substitute cunning for belief to gain advantage over their fellows – or to inflate their own reputations. St. Joan of Arc was warrior, mystic and virgin – and only perfect at the latter. The clever thinkers of the seemingly doomed French government were constantly jockeying for position, hedging their bets at war while bullying and betraying their own people and colleagues to enhance their status. Ah, but St. Joan was, above all else, a true believer – and the power and purity of her conviction infected the whole French army. In the process, it revealed who was who. The often profane General La Hire, who objected mightily to a mere girl being put in charge of the armies, became her greatest admirer and supporter – for here before him was a fellow true believer who completely ignited the passionate idealism and courage of the armies. He gladly – and devotedly – served under her. Meantime, the connivers in the French entourage loathed Joan of Arc, despite the victories she brought – and did everything they could to undermine and betray her. Ah, vain little men can never adhere to anything greater than themselves: they would rather be captains in a doomed organization than privates in a glorious one. They will work for the doom of their own side rather than risk their captaincy. Never underestimate the mercy and power of God. It has always seemed just and proper that it would please Him to send good and noble men and women into every community on earth. In the final book of the Narnia series, The Last Battle, a noble servant of the false God, Tash, falls before Aslan (an image of Christ), expecting to be doomed because of his adherence to Tash. Instead, Aslan tells him, “…I take to me the services which thou hast done to him. For I and he are of such different kinds that no service which is vile can be done to me, and none which is not vile can be done to him. Therefore if any man swear by Tash and keep his oath for the oath’s sake, it is by me that he has truly sworn, though he know it not, and it is I who reward him. And if any man do a cruelty in my name, then, though he says the name Aslan, it is Tash whom he serves and by Tash his deed is accepted.” How much greater mercy will God surely show to those who do not actually serve a false god, but merely an imperfect image of the true God? And which of us perfectly comprehends the true God? Even the great St. Thomas Aquinas, near the end of his life, was given a vision of Christ. In despair that his writing fell so far short of the reality of Christ, Thomas called all his own work “so much straw” and never wrote theology again. When I was on my pilgrimage, one of the most pious men I met was the young Muslim owner of a convenience store in Louisiana. He was so taken with what I was doing, he made me promise to pray for him regularly throughout the rest of my journey, as he promised to pray for me. He would take no money for my purchases. I had a mild flu, so I stayed camped in some nearby woods for a few days. Embarrassed by his generosity and not wanting to seem to take advantage, I snuck over to another store one morning to get some food. He caught me – and wanted to know what he had done to offend me. He was truly hurt. I explained as best I could, apologized and came to his store to accept his hospitality – and when I checked out he gave me several dainties his wife had made for me. He was a true believer. I think of the unlikely friendship I had for years with the late Rob Sherman, once the National Spokesman for the American Atheists. Once, he had sued the northeast Illinois village of Wauconda, to remove Christian symbols from outside the village hall. He won. Residents were furious – and throughout the village lit crosses went up on many, many households. It looked almost like Christmas. People figured that would really get his goat. But he got together with me one night to drive through the town and look at all the crosses. He was jubilant about it. “See,” he told me, “I forced them to live their beliefs individually – which is how it should be.” He thought it magnificent…and rather puckishly told me I should concede that he was a “pretty effective evangelist.” We once mounted a minor pro-life initiative together. I was a bit surprised to find he was pro-life…but he was passionate about it. When I expressed skepticism, he told me, “Hey, look Charlie, I think this is all we get, so it is an absolute sin to deprive anyone of it.” When I stared at him after his description of it as a sin, he finally got it, his face reddened and he said, “…so to speak.” In a lot of our private chats, I came to think he was more agnostic than actually atheist…and he conceded on a few occasions that that might be true. He certainly welcomed my prayers – as long as I did not tell anyone about it while he was alive. I think, in his peculiar fashion, he was a true believer. Certainly, he was a good friend. When we meet a fellow true believer, we know because a certain resonance vibrates – like a tuning fork – and our hearts burn within us. I love my Church, my home, passionately. But I know that some who also call it home are committed enemies of the faith. I know that many in other homes…and among the spiritually homeless…are passionate about truth and brotherhood. Shoot, I was once one of them. Do not shun the fellowship of a true believer because he is from a different home. Now that so much of the world is determined to crush whatsoever is true, whatsoever is honest, whatsoever is just, whatsoever is pure, and whatsoever is lovely, we sin if we fail to make common cause together. We will know Christians, not by what they say, but by their love. Be grateful for the home God has drawn you to. But know that it is not the splendor of the home you inhabit here that will endow your eternity: it is whether your soul magnifies the Lord, bringing hope to the hopeless, joy to the grieving, and comfort to the afflicted – even knowing that that light will enrage the pretenders and frauds who choose cunning over belief. Thank you, Charlie. A wonderful piece, as ever, yet this one is especially vivifying and unifying, spurring us to a true humility that calls us to purify our hearts as we gird our loins. May She, who held together the disciples who had locked themselves with their fears in the upper room, invoke Her Spouse to fall, anew, upon us, freeing us from our own fears and from all that holds us back from complete reliance on God… that we may go forth, living what Charlie has proclaimed to us this day. Veni Sancte Spiritus! The One True Fatih is His Holy Catholic Church. The Eucharist is the source and summit of the Catholic Faith. Jesus said, “unless you eat My Body and Drink My Blood, you have no Life within you”. As a Catholic we obey the Ten Commandments, all of them. 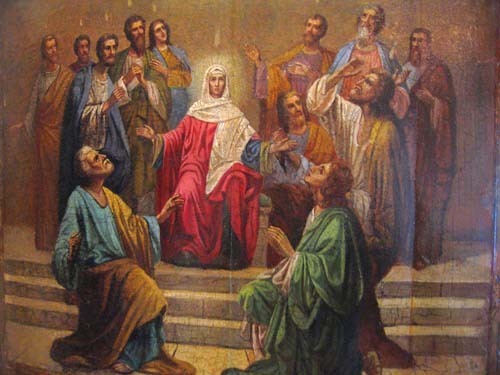 Jesus instituted all of the sacrements of the Catholic Church so that we could be santified and be with Him in heaven. As a Catholic, I shun no one and pray for everyone to enter the Catholic church so they can be with Him for eternity. It will be an exciting adventure, I think, to see the ways that the Holy Spirit will continue to lead us in forming us as one flock under one shepherd. God bless us, one and all. 1) When someone wants to come into the Church, doctrine formally requires that they do not do so unless they are convicted in conscience that The Church is right and true. In fact, it is considered a danger to their salvation if they embrace it without believing it. Thus, the right of conscience means you should not come in until you are convinced (which is possible even when you do not fully understand all things). What is an illegitimate “right of conscience” is to be Catholic and publicly dissent from defined doctrine. The Church does not withhold the living spring from those of good will even when they are not fully there yet. But those who call themselves Catholic while denying the truth of defined doctrine literally excommunicate themselves from the Church Triumphant. 2) The Church acknowledges any baptism that is validly done in the Trinitarian way, through the Father, the Son and the Holy Spirit, regardless of what non-Catholic denomination in which it is performed. Baptism is a Catholic sacrament – and the Church does not deny the validity of it when done validly by another tradition. Even further than this, some panic if someone they love dies before Baptism. Yet the Church recognizes two forms of Baptism besides the normal – the Baptism of Desire and the Baptism of Blood. The latter applies to martyrs. The former acknowledges that honest creatures desire to know their creator – and does not deny him the sacrament in such an extraordinary form because of his imperfect knowledge at the time of death if his will and his love were well-directed. 3) Most Protestants do not accept the pillar of tradition – the formal, defined teaching of the apostles and their successors – as a true pillar of faith as Scripture is. Some Protestants even complain of Catholic “inventions.” Yet all accept the binding authority of the New Testament. Yet when Jesus or the original Apostles spoke of ‘Scripture,’ they were speaking exclusively about the Old Testament. It was the Catholic Church which determined which of the many books of writing after the Resurrection would comprise the canon of the New Testament. In short, the New Testament IS a Catholic invention – the family album, as it were. It is a logical absurdity to implicitly maintain that the Church had complete authority to decide which books would be in the New Testament Canon – and no other authority, at all. The New Testament is a product of Catholic Tradition -part of the fount of living water enjoyed by all Christians. Now some focus on the constraints on God’s mercy. I think they are seriously mistaken. You know well that I do not suffer attacks on any of the fundamentals of faith. When a denomination decides that, say, abortion is acceptable in the eyes of God, their leaders fashion a terrible millstone around their own necks. It would be better for them if they had never been born. But it is a great evil to preclude God’s mercy because of His justice: in God, there is no division between justice and mercy. They are the same; and God calls all men to salvation, covering in His mercy what they lack in formation, if they are of good will. Thus, the formal Catholic Church has a great and terrible responsibility – not only for formal Catholics, but for all mankind. God’s mercy extends salvation through the deposit of faith, held in trust by the Catholic Church, to all men of good will. Catholic authorities are responsible for giving effective and authentic witness to Christ – that His pilgrim people may be well-formed. So well articulated, Charlie. It is a great gift to be able to engage with people without diminishing the deposit of faith and also not diminishing any person who may not believe in all that Catholicism teaches. I love the way you responded to your dad’s question concerning the possibility that you might believe only Catholics are in heaven. And your father’s reply was perfect! I agree Beckita – a great response by Charlie. I believe the billions of ‘Catholic’ Hail Mary’s prayed over the centuries come into play for sinners everywhere at the individual’s ‘hour of death’ revealing the powerful intercession of the Mother of All Peoples and intricate workings of God’s tender mercy at the moment of judgement. 16 You did not choose me, but I chose you and appointed you so that you might go and bear fruit—fruit that will last—and so that whatever you ask in my name the Father will give you. From day one Pope Francis has, in my view, tried to make the thinking of Catholics less exclusive and more inclusive. Yes, the Church has a great responsibility to express the mind of Christ in matters of faith and morals. This responsibility is mirrored in the response of the individual to her teaching. Not only his hands I say, but also his arms, that were opened wide as the doors of Mercy to welcome back all those who had lost their way and a home to those who were holmless. If Pope Francis can extend such an invitation and welcome, how much moreso can Christ. Therefore “No salvation outside the Church” must ultimately be an inclusive rather than an exclusive exhortation. Watch out Joe, the NIV is a protestant bible. Just kidding…. I read the NIV every day when I first had my conversion. It was studying it carefully and weighing it against Catholic teaching that impacted me greatly towards my accepting the Catholic faith. I like to say, God does not want us to do great things for him, he just wants us to do what he says. For most of us, it means living our day to day vocation, loving our spouse, taking care of the kids, going to work. Thank you, Charlie! So well said and easy to understand. I think this is a great writing for Non-Catholic Christians to understand what the Church really teaches on salvation ( and for Catholics too). It is much more hopeful and truly just. God doesn’t expect us to follow what we are not sure is true. He surely expects what we believe to be good and for us to do it. I pray for his mercy to be trusted, and that we have mercy on each other like he does upon us. I hope that heaven surprises us with atheists who embraced Jesus’ love and mercy in their last moments because during their lives they paved the way to this last moment of openness to God by their lifelong goodwill and kindness. This piece helps me quite a bit, Charlie. I pray forgiveness if I am mixing up my priests, but I believe that it was the late, great Fr. Benedict Groeschel, C.F.R., who taught that Purgatory is where the soul learns all the lessons it failed to learn about God. This helps me in my belief that Purgatory is the great schoolroom of love, where the souls burn with the thirst for knowledge and come to it, little by little by our prayers. One lesson learned makes the soul burn for the next and perfectly contrite to suffer for having missed opportunities in life to apply it to love God and neighbor more. Let us recommit ourselves to praying and sacrificing for the Holy Souls. Perhaps Revs. Graham and King have come to love the Holy Eucharist more than any of us. For all the good he did, Father Groeschel would quip that his Purgatory was probably going to include what he called a “tape room”, where he would have to listen to all the talks he had ever given, over and over again. He said that thought helped him stay humble and to stay out of the way of the Holy Spirit whenever he spoke. Let’s pray for Fr. Groeschel to escape the tape room, if he hasn’t already. Perhaps we should, like Fr. Groeschel, imagine our own apartments in Purgatory when we presume to teach and evangelize. Gentleness. Kindness. Self-deprecation. Let’s keep those arrows in our quiver to pierce the hardest of hearts. Peace and blessings to all here. Father Groeschel’s favorite book on purgatory, which, as he observed, clears up a lot of misunderstandings is Catherine of Genoa’s Purgations and Purgatory in the Classics of Western Spirituality Series. Father Groeschel wrote the introduction, too. The book will set you afire. Nothing matches it. Jesus spoke of who ones “father” is more by a man’s disposition than by his denomination and even prayed for “those not in this fold” (John 10:16) so that all would be one. I don’t think this prayer had a time stamp on it to when it ends and is still in full effect to this day. And as Our Lady said in Medjugorje about non-catholics, “they are my children too”. Fr. Andreu’s final words still make me tear up. Charlie, I’ve loved your posts deeply, but this one moved me more than any other. Thank you from my soul for this beautiful, poignant and enormously timely and relevant message. Beautiful! And I love your use of that scene from “The Last Battle” — it always resonated with me. I found it to be one of Lewis’ keenest insights in a series that is full of them. Thanks, Charlie! 8 If, however, you are fulfilling the royal law according to the Scripture, “YOU SHALL LOVE YOUR NEIGHBOR AS YOURSELF,” you are doing well. 10 For whoever keeps the whole law and yet stumbles in one point, he has become guilty of all. 11 For He who said, “DO NOT COMMIT ADULTERY,” also said, “DO NOT COMMIT MURDER.” Now if you do not commit adultery, but do commit murder, you have become a transgressor of the law. 12 So speak and so act as those who are to be judged by the law of liberty. 13 For judgment will be merciless to one who has shown no mercy; mercy triumphs over judgment. In todays Liturgy of the hours, First reading, is proper to our discussion. The second reading, a homily on Ecclesiates by Saint Gregory of Nyssa, bishop also a good insightful read. 8 a time to love, and a time to hate; a time for war, and a time for peace. 9 What gain has the worker from his toil? 11 He has made everything beautiful in its time; also he has put eternity into man’s mind, yet so that he cannot find out what God has done from the beginning to the end. 13 also that it is God’s gift to man that every one should eat and drink and take pleasure in all his toil. 14 I know that whatever God does endures for ever; nothing can be added to it, nor anything taken from it; God has made it so, in order that men should fear before him. 15 That which is, already has been; that which is to be, already has been; and God seeks what has been driven away. 16 Moreover I saw under the sun that in the place of justice, even there was wickedness, and in the place of righteousness, even there was wickedness. 17 I said in my heart, God will judge the righteous and the wicked, for he has appointed a time for every matter, and for every work. 18 I said in my heart with regard to the sons of men that God is testing them to show them that they are but beasts. 19 For the fate of the sons of men and the fate of beasts is the same; as one dies, so dies the other. They all have the same breath, and man has no advantage over the beasts; for all is vanity. 20 All go to one place; all are from the dust, and all turn to dust again. 21 Who knows whether the spirit of man goes upward and the spirit of the beast goes down to the earth? 22 So I saw that there is nothing better than that a man should enjoy his work, for that is his lot; who can bring him to see what will be after him? “14 I know that whatever God does endures for ever; nothing can be added to it, nor anything taken from it; God has made it so, in order that men should fear before him. This is and has been my struggle. Live life in the present. My Pastor repeatedly showers this message in homilies and (with me) during reconciliation. It is a challenge, my struggle with “letting go” and living. Living in the moment (Ecclesiastes 3:1-8) and realize my Baptism was more than just water but an entrance into the Kingdom of God. It is a choice to remain. Perhaps a reason I consecrated myself to Jesus through Mary allowing her to reap all the good I have sown and present to Jesus, our Savior. After hearing his recommendation, I purchased digital copies of Barclay. I recommend them. It’s nice when I come across a mysterious passage in Scripture, so I consult Barclay to get his insight. Oi, Patrick. I failed to carefully vet the link you shared. The advice of Fulton Sheen is not the problem but the writers – who reference Archbishop Sheen- smear him right and left for the good he has done. In addition, the whole website is overboard archconservative. Articles there denigrate Pope Francis, Cardinal George and the Novus Ordo Mass. In fact, I was already aware there are folks from the SSPX who are on staff there. Tell you what, I’ll just delete the link and keep the good info in your comment. I apologize for my oversight and I’m grateful to the anonymous commenter who gave me the heads up. Oops….mea culpa. I carelessly failed to vet the source myself and am actually unfamiliar with the site I linked to. 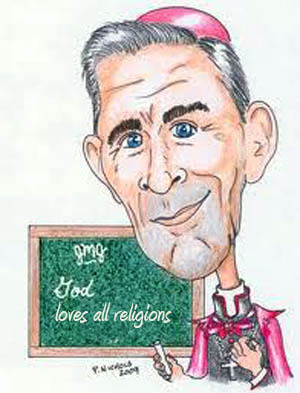 I had an idea that I wanted to convey about Archbishop Sheen and hastily grabbed something that had a quote about Barclay as well as Sheen’s openness to accepting gifts from people of different faiths. I will take much more time confirming unknown links in the future. My apologies, Beckita and everyone. Thank you, anonymous source, for catching my error. No worries, Patrick. Thanks for the Sheen-Barclay connection. Fantastic piece, Charlie; thank you. I was so surprised to see you comment about Wauconda. I actually live in Wauconda. My mother is from the area and when I moved here about 8 years ago, so many people knew who I “belonged to.” My mother came from a large family of 11 and some of them still live here. Despite its now larger size, it is still very much a small town. I remember seeing the cross on the water tower every time I came to visit my grandmother. She was very upset when they had to take it down. THe replaced it with a star. She had converted to Catholicism with her mother when she was just a child and it meant everything to her. This lawsuit really did affect everyone. The first Christmas I was here I was surprised at how many crosses were still being put out and lit up. I even went and bought one from the KOC Christmas sale because I didn’t want to be left out. A few years ago a children’s book was even published based on the incident == The Cross and the Water Tower. It has been over 20 years and every year the incident is more forgotten, but it is nice to see that some people still remember and for those it has been a reminder to put out the cross at Christmas to remind everyone in between all the blow-up Santa’s in fishing boats, etc what Christmas is really about. How cool! One of my favorite people ever, Venita McConnell, was from Wauconda and a political powerhouse in western Lake County until she moved to Northwestern Illinois – and promptly became a political powerhouse out there. I had a lot of friends out there…still have a few, and occasionally went to Transfiguration Church and ate at Mers Restaurant. For the rest of the folks here, some of the old movie, “The Blues Brothers,” was shot in Wauconda using Bangs Lake as a background. It’s a great town – with a lot of Latin Mass Catholics, probably because of St. Peter’s just up the road in Volo. I am always amazed at the details you remember about every place you have been. You got every single fact right. My grandmother was actually the church organist at St Peter’s for years until she passed away almost 15 years ago. She and Rosemary Mers were good friends too. Rosemary was the one who first realized who I was the first time I went to church at Transfiguration. She bought things for my children to celebrate the new babies and birthdays. Sadly, she passed away last year. I will definitely share what you have told us about Rob Sherman because, yes, it definitely softens his image and also drives home the point that God always wins in the end. Many people still find joy in showing their faith at Christmas, including me. Regarding Protestants. I was always taught that as long as they received a valid Baptism, they were in the Catholic Church spiritually, but not jurisdictionally. And this opinion traces itself back to the disputes between St Cyprian of Carthage and Pope St. Stephen. So, a validly baptized Protestant benefits from the graces of a mass in his home town, for example. It should be noted that a person in purgatory is saved. We forget that. We also forget that many saved protestants end up in purgatory. I read a story about a protestant once who roundly denounced prayers for the dead and then when he died ended up in deepest purgatory for his lack of trust and love, in trying to deprive others of aid to get to heaven (the fullness of the beatific vision) sooner. In his case he was given a bequest by a Catholic aunt to have masses said for her soul, but he gave the money instead to a protestant missionary group in Central America. In any event, these poor protestant souls need our prayers since their families do not pray for them. Unfortunatley, today, most Catholics are not like that and no longer have masses said for the souls of their deceased family, friends, neighbors, and enemies. I can tell you it is getting harder to get Catholics to have masses said for the repose of their souls of deceased relatives, parents ad family. They see it as a waste of money. Thank you, James. My Mother was a lifelong fundamentalist Protestant woman (though she had deep respect for serious Catholics). She did not believe in purgatory. In the last week and a half of her life as she was dying from pancreatic cancer, it was an amazing witness to all. She ended up refusing her pain medication – because she had seen her late sister, JoAnne, in purgatory and wanted to offer up her pain and suffering so they could go into the Kingdom together. At her funeral, at her request, she had a Rosary draped around her hand. There were multitudes of such things in that last week and a half. I am tearing up thinking about that astonishing period. Never underestimate God’s grace – and know that His mercy and justice are the same thing, designed to draw us to Him. Oh how marvelous, Charlie. God Bless your Mom. What a beautiful gift to your mother and her sister and to you! And to us in the re-telling. How good God is! And I love this…..’His mercy and justice are the same thing, designed to draw us to Him.’ How dearly He loves us! That is splendid – the essence of love is sacrifice and that is what your mom set as an example for all of us. God bless her and your Aunt in Heaven. And, what a rich mercy/blessing for her to see her sister, your Aunt. There are so many people for your Mom and Aunt to meet in Heaven. I am sure she met St. Thomas Aquinas in one of the classes up there. All eternity to contemplate God! Wait until she has Maximus the Confessor as a teacher! I had one sticking point on the inclusive approach to Salvation. Christ said “Unless you eat my flesh and drink my blood you cannot have life eternal in you.” “My flesh is real food and my blood is real drink.” He was clearly talking about the Eucharist. How then could anyone who had not received communion enter heaven. In Garabandal when the seers could not go to communion the angels would give them consecrated hosts from the tabernacle (angels cannot consecrate). We are told that God looks to the intention of the heart. Seeing a souls heartfelt desire for Him, I believe that this heavenly duty is performed at the very end by angels- unseen at the time by onlookers just as the host given by angels at Garabandal was mostly invisible. In her childlike way Conchita referred to this a “little miracle.” She had clearly hoped for something far more spectacular. She was not even aware at the time that this miracle had happened. With you there Joe and when we eventually arrive in Heaven we are going to be gob-smacked at just how – to use Pope Francis’ regular descriptive – rigid – we are in our limited thinking and understanding of the Word of God as applied to the many irregularities presented to us each day. Our saving grace is our good will – we only wish to uphold the truth but even as we pray for enlightenment we only receive as much as our humility allows. The ones I grieve for are those who have left the faith. How hard it will be for those who left the truth for a lie! ” For it had been better for them not to have known the way of justice, than after they have known it, to turn back from that holy commandment which was delivered to them.” 2 Peter 2 But once again God searches all hearts and knows things we could never know. Hey Charlie, just want to say hi and nice piece. Do not often have time to post these days but do read. Thanks. Is this lack of guile what is meant by pure in heart? Their hearts are like those of little children – no hidden motives or desires – what you see is what you get. Their prayers and petitions are pure. Jesus says that it is not what goes into a man that makes him unclean/impure but that which comes out. If a man is pure in heart that which comes out will be pure and will cleanse all who hear him. The Sacred and Immaculate Hearts are of course the best cleansers. “Nothing impure can enter heaven” but by these hearts all is made new. Charlie talks of Baptism of Desire and Bsptism of Blood. All forms of valid Baptism confer the same grace – freedom from all stain of sin and punishment for sin. As the parable tells us the reward is the same for those who have laboured all day as for those who have laboured one hour. Great is God’s mercy. How many of us have ever stayed free from sin (laboured) all day. “Come to me all you are who labour and are over burdened and I will give you rest.” “Come ye blessed of My Father.” This is the baptism of redemption. Just as God saw Nathaniel under the fig tree and identified his pure heart so He does with all pure hearts and the love of God is reciprocated: God sees us/we see God. The Song of Thanksgiving is playing in my mind. And one of those robbers who were hanged, blasphemed him, saying: If thou be Christ, save thyself and us. 40 But the other answering, rebuked him, saying: Neither dost thou fear God, seeing thou art condemned under the same condemnation? 41 And we indeed justly, for we receive the due reward of our deeds; but this man hath done no evil. 42 And he said to Jesus: Lord, remember me when thou shalt come into thy kingdom. 43 And Jesus said to him: Amen I say to thee, this day thou shalt be with me in paradise. There you go again Joe, quoting that protestant bible. Just kidding…. I thank each and every one of you for helping me along in my daily conversion. a donation to a certain cause, I have a mass offered instead. Inspiring article… equally inspiring comments. My heart is full. Thanks everyone. P.S. Charlie, there’s fresh Walleye on the table. Come on over. First, it is improbable that this sonic attack is not connected to similar attacks at our embassy in Cuba. Someone is experimenting with sound on American citizens. And these experiments have had noticeable adverse effects. Second, It seems likely that this is intended for use as a weapon as it damages the human brain. The deep-state leftists must be in an exceedingly desperate position if this guy had to go on the noxious “View” program to try to explain — through more lies — the spying he and the FBI conducted on the Trump campaign. This entire situation is outrageous and is probably the greatest political scandal of all time. And BTW, where is Comey? This can only come to a very ugly head. OK. That was my attempt at a CrewDog Report. Ah yes, it ain’t CrewDog without the iconic “God save all here” ending. We all have our signatures. My son says if he is ever asked to authenticate anything I wrote on paper, he won’t even bother to read it. He’ll just look for the coffee stains. Of course, of course! 😄 Oh I’m cracking up laughing, Mick. It was staring at me the whole time! As for “Remember to have your pet spayed or neutered.” …sounds a bit preachy. During the worst of the Troubles in N. Ireland, British forces were tried by the European Courts and found guilty of the use of torture. One of their methods of torture was to subject the victim to a certain combination of light and sound frequencies in a room with white walls for prolonged periods. This disorientated the victims mind but made it easier to interrogate them. When pushed to the limit this torture caused permanent damage. Sobering stuff. Deliver us, O Lord. Oops got that wrong – tried but not guilty – under appeal. This is a report of such torture that refers to the use of sound as mentioned in your comment. You may well have good cause for concern as to China’s intention. Tough tales of torture, Joe. It’s still hard to believe how brutal the Irish could be. My peeps. Did you mean “the British” ? Sorry Joe, yes, the “British” on the “Island of Ireland” regarding your Times article. I suppose I was lamenting the violent history seen on all sides (last one hundred years), where Irish too were engaged in cruel fighting even against their brethren (no surprise there). In Germany in the 1990’s I had an Irish friend who I believed was a fugitive but couldn’t learn for certain – he had changed his name to O’Loinsigh. He told some wicked tales of the violence he saw. Nice but mysterious fellow, quite guarded and clearly involved in covert business dealings in his new country. He married a pretty German Frau and was now living the good life. My dad’s family originally comes from the Roscommon area, emigrated in the late 1800’s. My grandads were from Tyrone and Cavin. They both moved to Glasgow where they eventually owned several pubs. On one side it was clogs to clogs in three generations. The other side was left with only one pub that did well until sold. I keep in touch with my cousins in Tyrone. There is a song that Brendan Shine used to sing and can still be heard on utube. I used to join in singing this with the regulars in Biddy Mulligan’s Bar, County Kilburn, when I lived in London. It got blown up by the Protestants one night when I wasn’t there. Hi Joe. Forgive me for suggesting there was any moral equivalence between the two sides…this really hits home for you in a personal way. I look forward to one day sharing an ale with you to hear your stories. Here’s another gem from Fr. Dwight Longenecker you won’t want to miss as he calls for “the warrior priest.” https://dwightlongenecker.com/a-cry-for-the-warrior-priest/ In his insight and wisdom, Fr. Dwight describes, in terms so well said and so sorely needed, the criteria for such a cleric. As ever TNRSers in this community of ASOH, our clergy need the bedrock of our prayers to live in God’s Will in their priesthood. Let us continue to pray for them. Charlie this is a particularly good peace. It thrums with truth! Apropos Charlie. Lambzie and I and five others are heading to Vermont for ecumenical healing conference sponsored by Christian Healing Ministries. CHM was started by Judith and Francis McNutt. Can’t wait. Praying for you and Lambzie, Doug, and however God will bless you as you attend the conference. Thanks Becks! Just read Romans chapter 9 this morning. It goes so well with Charlie’s writing for this post. It absolutely does, Doug. And while we have had such cycles as we are now experiencing, where God’s people are stiff-necked and wander far from Him, it is also noteworthy that this time is different, for Our Lady’s Immaculate Heart will triumph completely. So grateful to be experiencing this process and looking forward to how the fulfillment of all that is authentic will be completed. Also, Doug, years ago I read Francis McNutt’s material and have, recently, reviewed it. Actually praying – for you and Lambzie – that the Lord knocks your socks off in refreshment and renewal! Thanks Becks. Lambzie and I feel a little beat up. Lots going on. Could use a good time of refreshment. Whether good or bad things happen to us, we know God has a plan. We endeavor to be faithful in spite of circumstances. Romans 8:28 comes to mind.